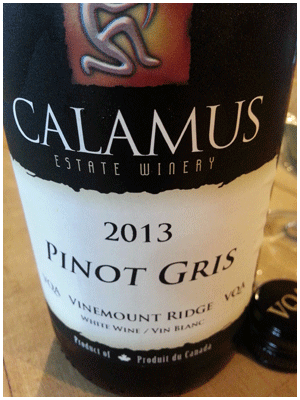 Calamus wine has the refreshing nature you associate with this grape, along with a hint of richness and sweetness. I like the combination of thirst-quenching and crowd-friendly. Let’s start the party. This style of Gris is also perfect for brunch – alfresco of course.